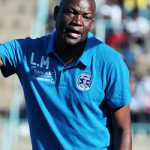 HWANGE goalkeeper Tiamon Mvula put on a flawless show, to thwart lethargic Dynamos and guide his team to an improbable victory in Harare on Sunday. A combination of breathtaking saves, agility, composure and a never die spirit from the youthful goalkeeper drove Mvula as he shut out Dynamos raids at the ceremonial home of local football Rufaro Stadium. At the end of 90 minutes, the score read 2-1 in favour of the coalminers who picked up their second set of three points on their return to the topflight league. “I received a call from one of Dynamos’ fans based here in Harare telling me how the match was going to end in DeMbare’s favour. “I confidently told the fan that I will sacrifice my life for us to win the match and I meant it. There was no way we could have lost this one,” said Mvula. Mvula’s saves seemed to mock Dynamos efforts. He pulled off two impressive saves from efforts by returning Dynamos forward and captain Edward Sadomba in the second half. Another flick shot at the death was tapped away by Mvula at the bottom left post when it seemed destined for the back of the net. And as the match drew to a close, droves of visibly disappointed Dynamos fans made the grim walk out of Rufaro, seemingly wondering what could have gone wrong. Dynamos’ next fixture looks like another banana skin against unbeaten and plucky Chicken Inn at Luveve stadium. 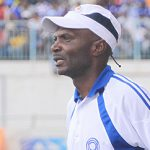 Even coach Lloyd Chigowe conceded that he has more to do. “We have to work hard now. We have to correct our numerous errors as we head to Bulawayo. 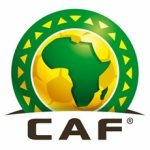 “Although it is a game of football, we will have to train harder as we go to face Chicken Inn,” said Chigowe. Chicken Inn dismantled a Yadah side still smarting from a 2-0 loss at the Colliery last Saturday. 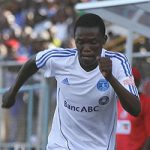 Last year Dynamos fell 3-0 against the Bulawayo side to mark the start of one its most treacherous run of form in recent years. Hwange will be home to Ngezi Platinum Stars at the Colliery in a must watch fixture from matchday three. Ngezi coach Erol Akbay and his team technical were part of the crowd which watched DeMbare fall at Rufaro and more worryingly for Dynamos, Joey Antipas the Chicken Inn gaffer was also in the VIP stand taking notes.